We had the perfect stage set. The Atlanta Hawks had choked and lost a game to the Raptors the preceding Sunday afternoon. The Cavaliers were coming into the Garden without their best player, Kyrie Irving. And what do the Knicks do? Play an excellent first half of basketball and then revert to the wretched defense and putrid iso offense that has sunk them most of this season. Under normal circumstances, a trap/letdown game like this happening after winning 8 straight wouldn’t be that bad. But with the Knicks fighting for the 8th seed with under 15 games left, the margin for error is so small that losses like this are completely inexcusable. It’s even more disheartening that this horrible effort happens after the Knicks were scared late against the Sixers just a few days ago. 2ND HALF MELTDOWN: After going up by as much as 17 in the first half, the Knicks settled on a 61-46 halftime lead. They shot 59% over the first 24 minutes, incluiding 8/11 from downtown. Just two minutes into the third, the Knicks gave up a 9-0 run that turned the contest back into a game. Felton and Melo hit a few timely threes to hold onto the lead, but the Knicks were still outscored 31-23 and clung to a seven-point lead headed into the fourth. And what happened in the fourth? How about the Knicks were outscored 29-16. So who was doing all the damage, you ask? 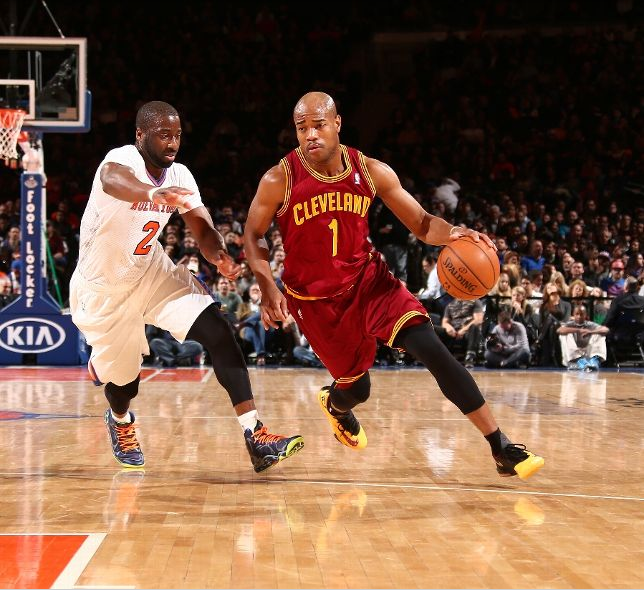 JARRETT JACK RUNS AMUCK: There is absolutely no excuse for a player like Jarrett Jack, who’s averaging 9 points for the season, should go for 31 points and 10 assists. Jack kept doing the same pick and roll move to kill Raymond Felton and force mismatches. Iman Shumpert’s defense was sorely missed here as Felton had Jack looking like the league MVP. Jack’s backcourt mate in Dion Waiters didn’t do too shabby either in dropping 22 points, making them a combined 53 points on the night. MARGIN FOR ERROR DRAWS SMALLER: It can’t be emphasized enough how much of a blown opportunity this game was. The Knicks can only hope they ignite another long winning streak and the Hawks to keep losing. Should New York lose 2-3 more games, this playoff race is likely over.